Oh boy are these fall treats tasty! The maple syrup adds a great rich touch to the cheesecake layer while the pumpkin is spiced to perfection. The bars would be the perfect snack for a crisp fall day or served warm with a scoop of vanilla ice cream for dessert. We didn’t top these with pecans, but that certainly would be a nice finishing touch. The pumpkin base is like moist cake and rises pretty high, so plan to eat with a fork. Preheat oven to 350º. Mix together cheesecake topping ingredients until completely smooth and no clumps remain. Set aside. Stir pumpkin cake dry ingredients in a large bowl until well mixed. 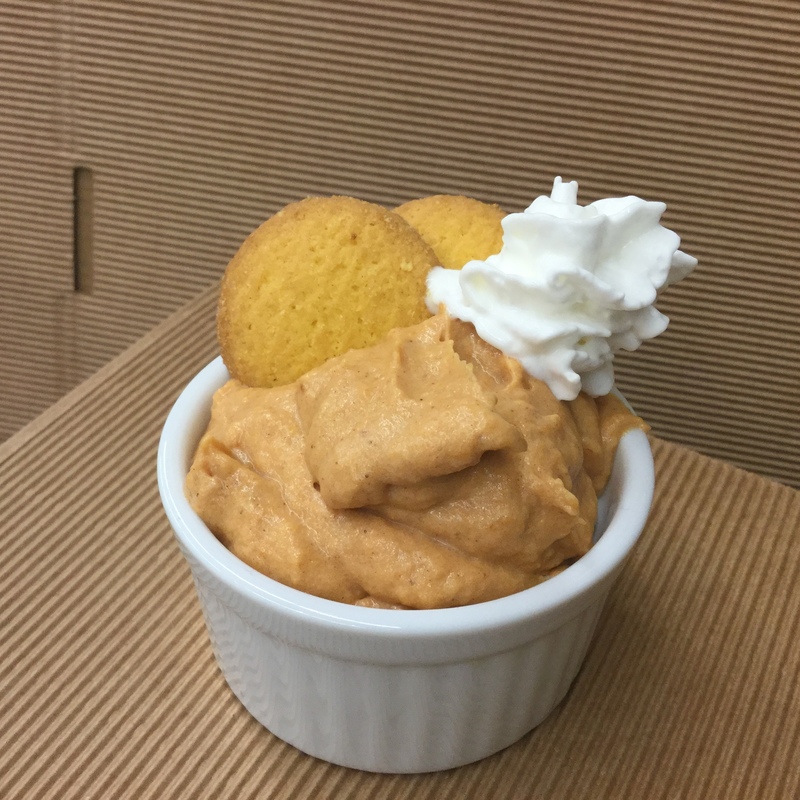 In a small bowl, mix together all wet pumpkin cake ingredients until smooth. Pour wet pumpkin cake ingredients into the dry ingredient mixture. Stir until just combined. Pour pumpkin cake mixture into a 9×9 baking pan. I used a coated USA Pan so I didn’t need to grease the pan. If your pan does not have a non-stick coating, spray with oil or coat with butter. Spoon cheesecake mixture into pan, on top of the pumpkin cake mixture. Take a knife/spreader (plastic or wood is best to avoid scratching your pan) and swirl through the layers to create a marbled effect. Bake at 350º for 40-45 minutes, until a toothpick entered in the center comes out clean. Let cool slightly before serving, so the cheesecake layer can firm up.